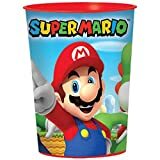 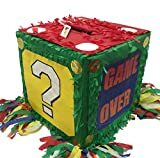 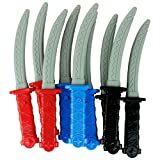 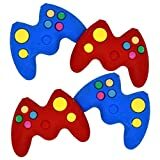 Fun video game themed gamer birthday party supplies for kids. 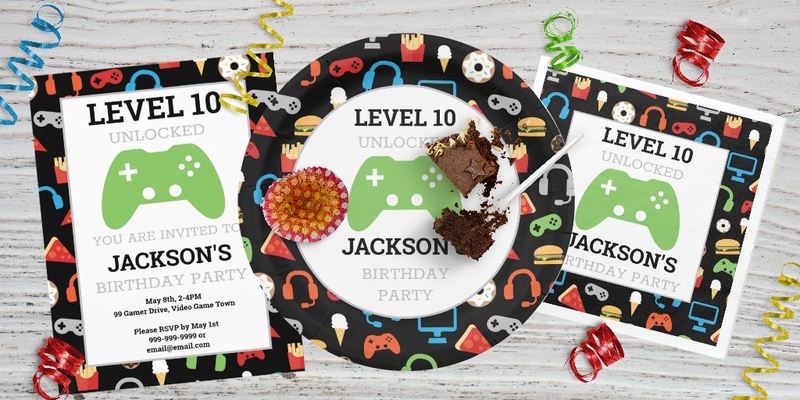 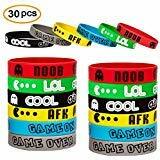 Great for a video game lover to level up for their next gamer themed birthday party. 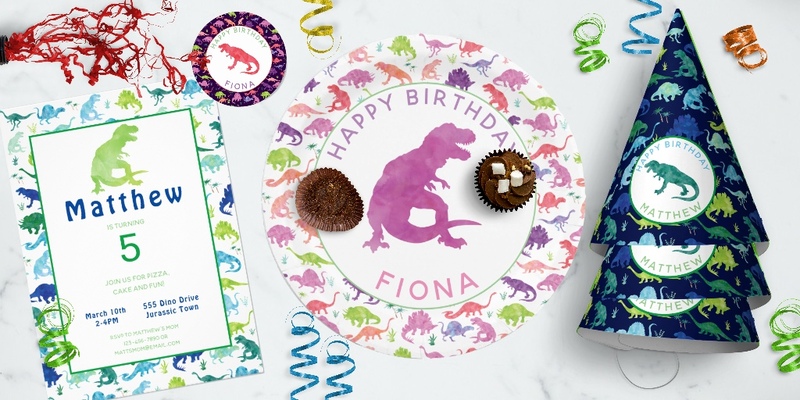 Coordinate all your party supplies from paper plates, paper napkins, party hats, invitations and even goody bags for your guests. 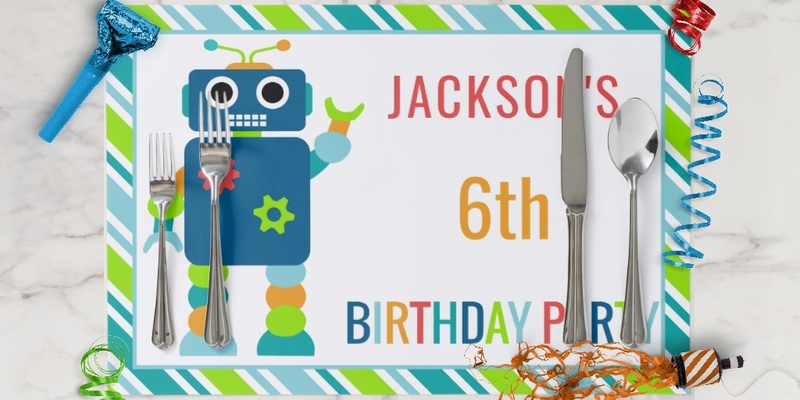 All items can be personalized with your child’s name.